Preheat oven to 220°C (425°F). Place the black bean sauce, ginger, honey and lime juice in a large bowl and mix to combine. Add the chicken and toss to coat. Set aside to marinate for 10 minutes. Place on an oven tray lined with non-stick baking paper and cook, turning halfway, for 15–20 minutes or until sticky and cooked through. While the chicken is cooking, cook the broccolini in a saucepan of salted boiling water for 3–4 minutes or until tender. 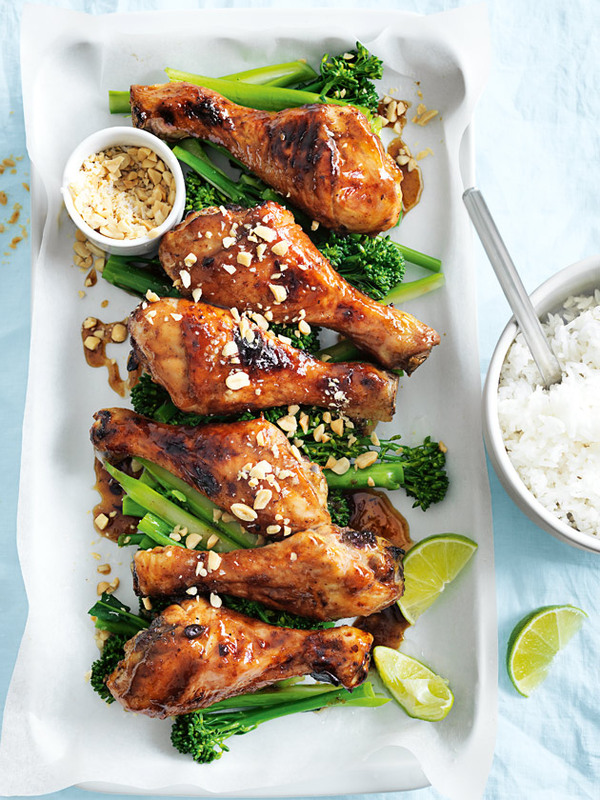 Divide broccolini between serving plates, top with the drumsticks, sprinkle with the peanut and serve with the rice and lime wedges. Serves 4.